Compliance with the Australian EMC regulations is mandatory and they apply to almost all electronic products supplied to the Australian market. Application of the RCM / C-Tick mark signifies compliance with appropriate Australian EMC standard. Requirements are currently limited to mains terminal disturbance voltage measurements (RF emissions travelling along the AC power lines), telecommunications terminal disturbance voltage measurements (RF emissions travelling along the telecommunication lines) and radiated RF emission measurements (RF emissions emanating from the device through the air). The three existing compliance marks are being consolidated into a single compliance mark. This will indicate a device’s compliance with all applicable ACMA regulatory arrangements (telecommunications, radio communications, EMC and EME) ; and with applicable electrical equipment safety requirements relevant to each state and territory in Australia. The introduction of the RCM will not affect the device compliance requirements of the relevant regulatory arrangements. Testing, record-keeping and evidential requirements will continue to be set out in the relevant labelling notices.Compliance Engineering are able to provide EMC compliance testing services to meet your C-Tick compliance requirements. 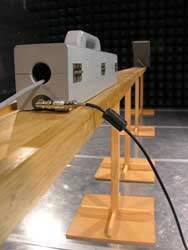 We also offer a preliminary EMC measurements service, where investigations and modifications can be trialed. Experienced staff are on hand to assist with your investigations and a wide range of EMC suppression components are available for use. For more information on EMC compliance testing services available in Australia, please don’t hesitate to contact us on (03) 9763 3079. 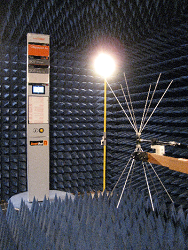 We also provide RF shielding, vibration and shock testing, EMF shielding, interference investigation, environmental testing and CE testing. As one of Australia’s most prominent testing companies, Compliance Engineering has experience in compliance testing of a wide range of products. 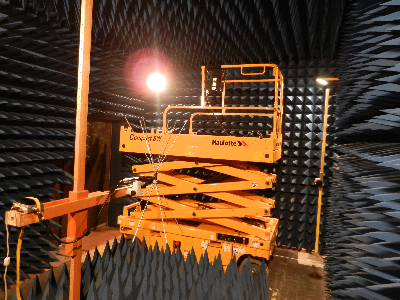 Our testing facilities utilise current equipment and procedures to ensure efficient tests and accurate results every time. In addition to our product compliance testing services for manufacturers and importers, Compliance Engineering offer online information resources including three RF conversion calculators, which are free to use by the engineering industry professionals and students alike.